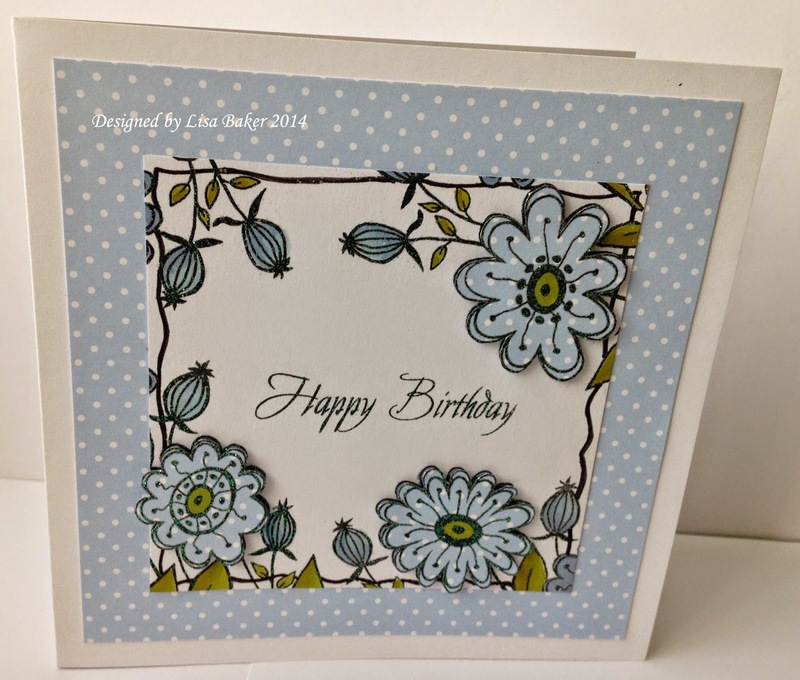 For this card below I used the Anna-Marie Designs Baby Blue Dottie card for the background. 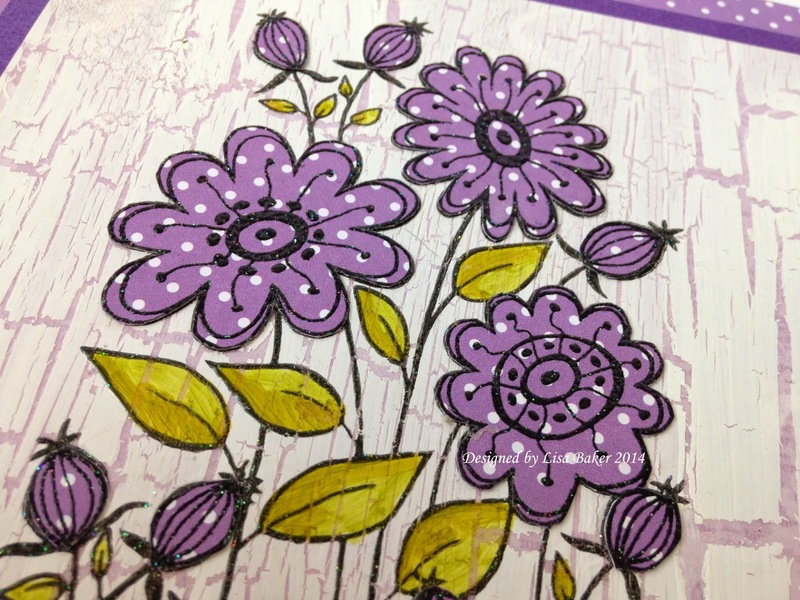 I stamped a Happy Birthday stamp from my stash with Versafine Onyx black ink and then clear embossed it with Wow powder and then inked and stamped the Spring Flower Stamp several times all away around the edge of my white card and then clear embossed it. Love how you've used the stamp in the first card, I'll be looking at my stamps differently from now on! two fab cards Lisa....thanks for the tips on the extra use of stamps.....I rarely seem to have the time to sit and do more than make a specific card...need play time! Love the paper piecing and Anna Marie's spotted card. 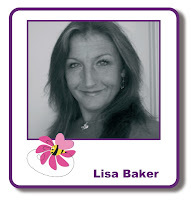 Both of these are stunning Lisa and I need to remember to look at my stamps in a different way in future. I love the blue and white card as it just pops and looks so elegant. Two gorgeous cards. 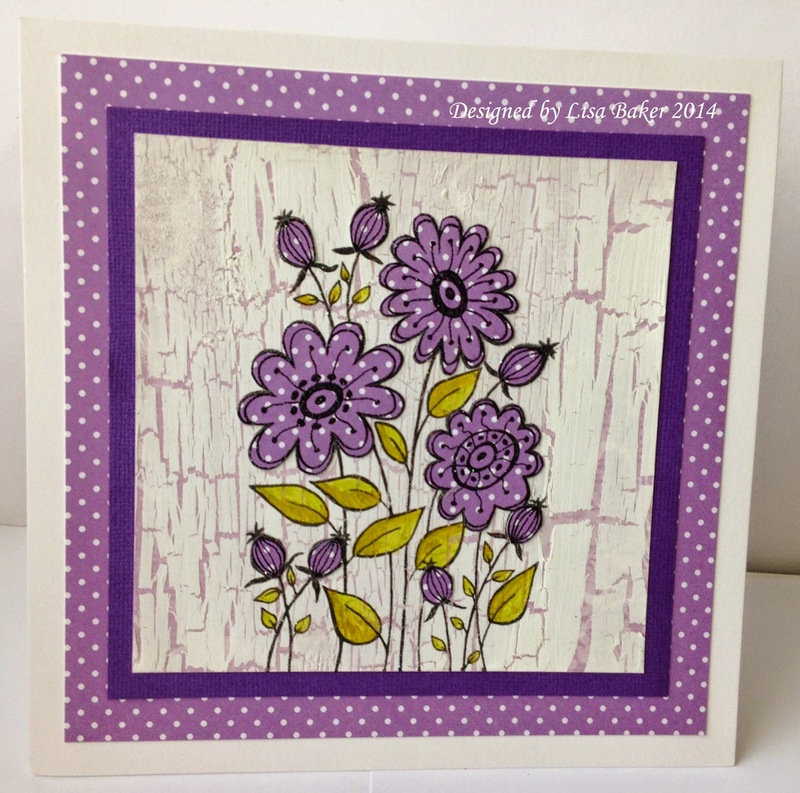 Love the paper piecing and the use of the stamp in the first card. Thanks for sharing.